Home / Don’t miss out on our promotions and Free Bids by adding us to your Safe Senders list! There’s a little bitty thorn in QuiBids customers’ paws and plucking it out is a simple fix that takes you all of a minute and saves loads of time and frustration in the long run. I’m talking about email spam filters, and how they sometimes go a little crazy defending your inbox from actually useful stuff that you probably want to receive. So we want to help you fix that problem, and in so doing allow us the privilege of sending you stuff you can use on QuiBids. We promise not to abuse that privilege (for instance by badgering you with email after email, or notifying you to come buy stuff from us because it’s National Dog-Petting Awareness month or whatever) and to only send you emails when there’s something in it for you, like free promo codes for Voucher Bids, blowout auctions, contest announcements, and new products and features on the site. So scroll on down to find your preferred email host and follow the instructions listed beneath it to ensure you’re receiving our emails. And don’t forget to check your spam folder — there might be Voucher Bids waiting for you to claim! First, log in to My QuiBids and click on the My Account tab. Under Email Preferences, make sure that you’re subscribed to the weekly newsletter and that you check Yes on Promotional Notifications. Regardless of your email host, you must have these turned on to receive emails from QuiBids. Also please note that the address that QuiBids sends promotional emails from is QuiBids@win.quibids.com. 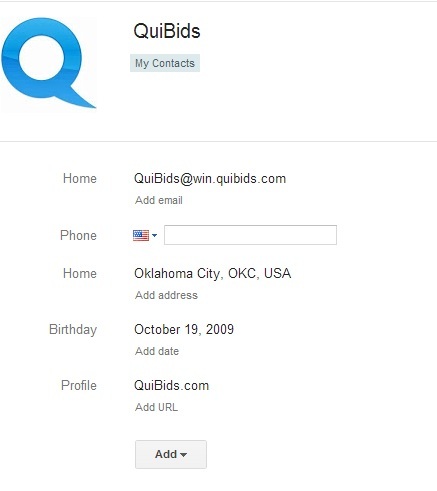 This is different from the notify@quibids.com address from which QuiBids sends transactional emails (or emails that contain information about your orders), and the support@quibids.com address from which QuiBids responds to Customer Support issues. 1. Pull up Contacts in Gmail and click the button that reads NEW CONTACT. 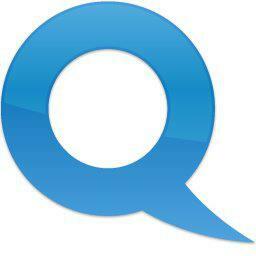 Creating a separate filter for QuiBids@win.quibids.com is the best way to make sure you see emails from us in Yahoo! Mail. This Yahoo! 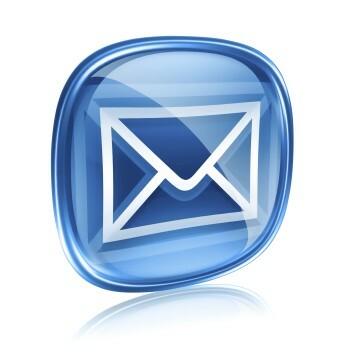 Mail help forum answer about creating email filters will walk you through it nice and easy. In Hotmail (also known as Outlook) you can click the gear icon in the top-right corner of the page and select More mail settings in the dropdown menu. Under Preventing junk email, click Safe and blocked senders. Click Safe senders and you can add whatever email address you wish! Simply indicating that an email isn’t Spam in AOL Mail is enough to make sure that all future emails from that account (in our case, QuiBids@win.quibids.com) will find their way into the inbox. So be sure to check your Spam folder for anything from QuiBids, and if there’s an email from QuiBids@win.quibids.com in there, mark it as not Spam and it’ll move into your inbox, along with all future emails from that address. New ways to refer friends and get free bids!